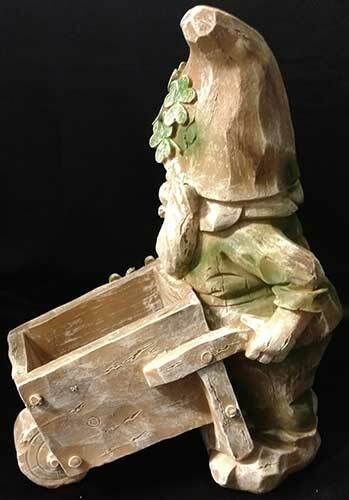 Leprechaun statue pushing a wheelbarrow will add Irish charm to your garden. 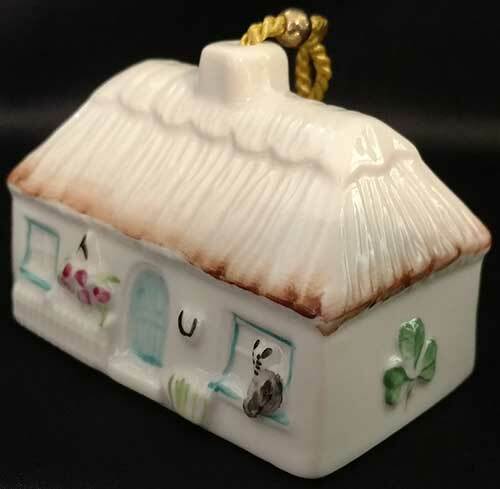 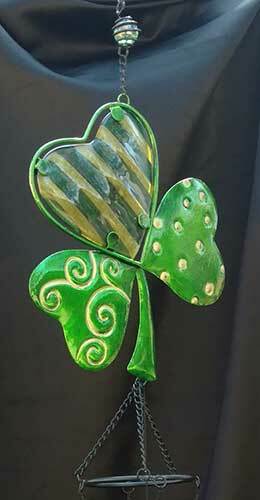 This leprechaun garden decor features shamrocks along with a wheelbarrow that may be used as a planter. 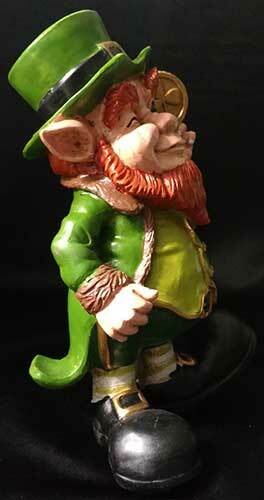 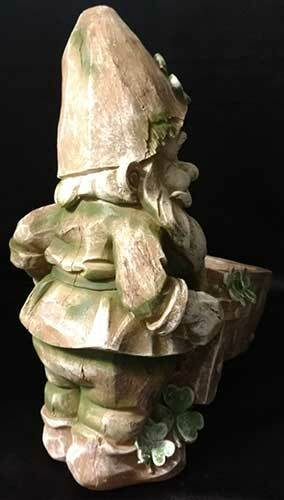 Leprechaun statue would look grand in your Irish garden or in your home. 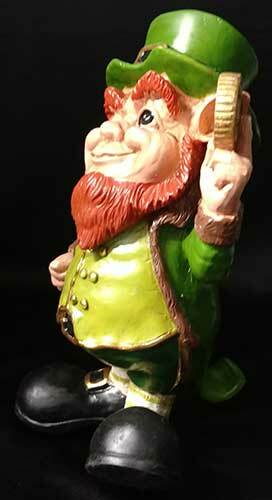 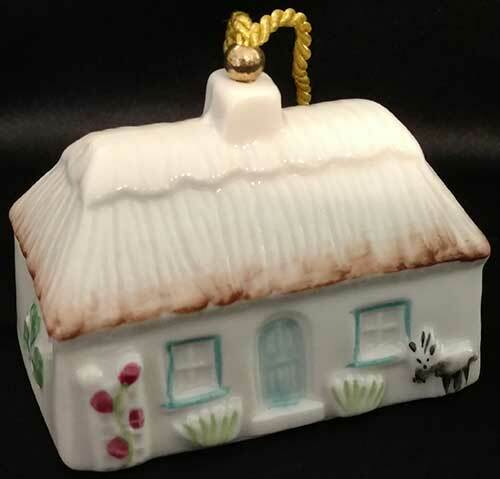 The colorful leprechaun garden decor features a wink of his eye and a gold coin in his hand. 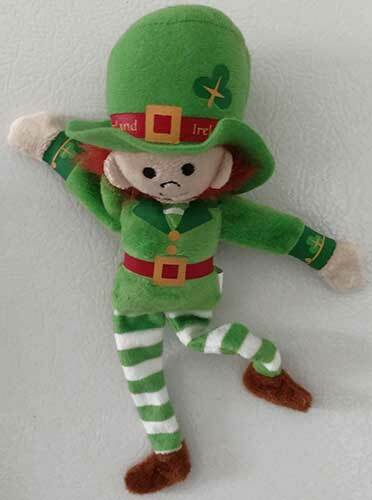 Leprechaun doll features magnetic hands and feet along with plush material that is accented with shamrocks. 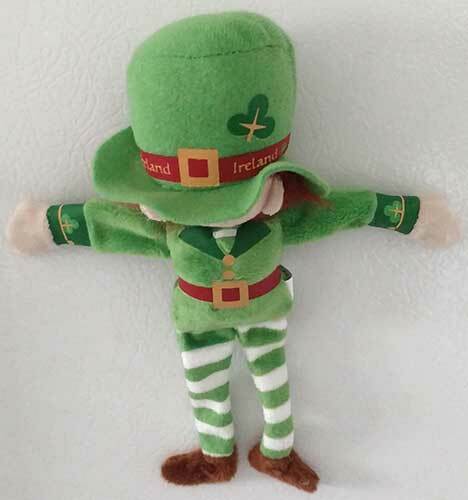 This plush leprechaun with stick to metal surfaces including your refrigerator door. 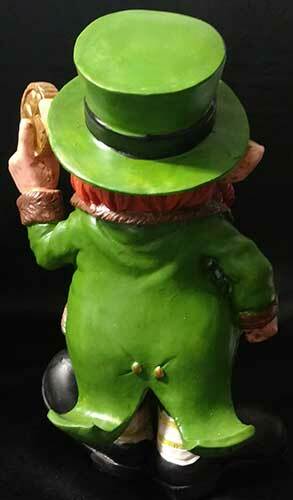 Small Leprechaun doll features shamrocks along with a clip attached to his top hat. 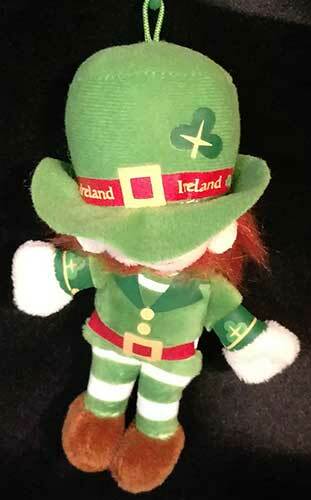 The small plush leprechaun may be used as an ornament or hang him on your pack pack. 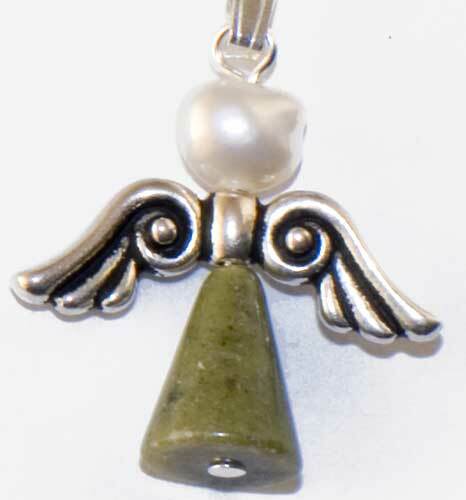 Irish wind chime features a stained glass angel along with a dangling shamrock charm. 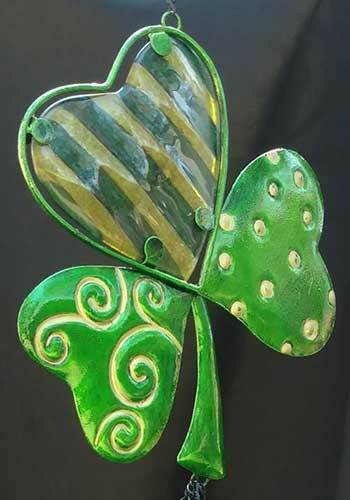 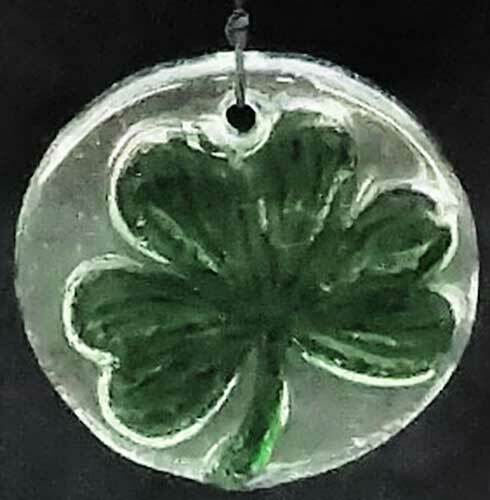 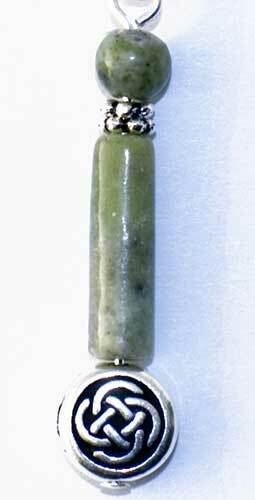 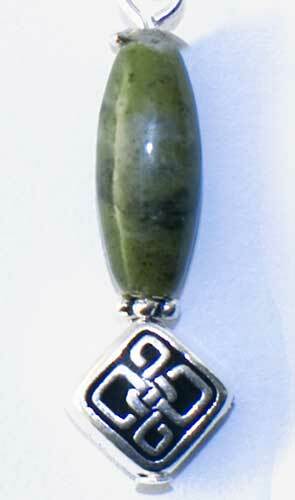 Irish wind chime features a large metal and glass shamrock along with a dangling shamrock charm. 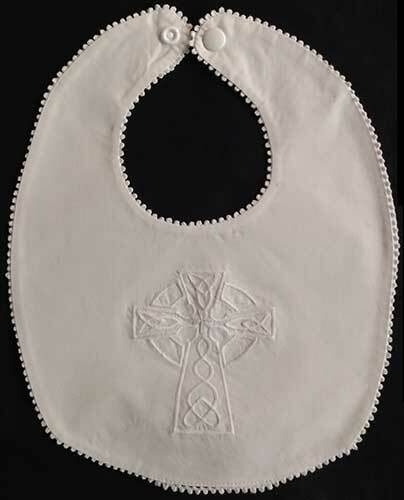 Irish Christening bib features a white on white Celtic cross that is enhanced with knot-work along with a shamrock. 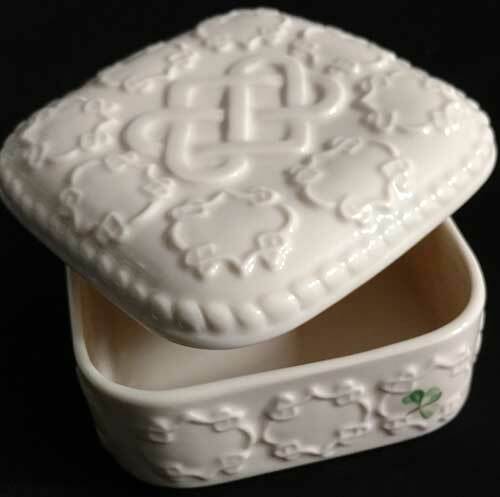 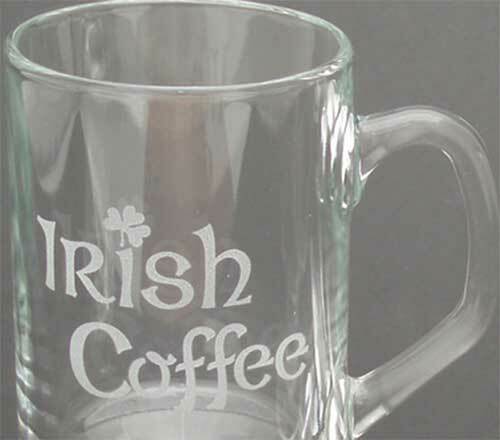 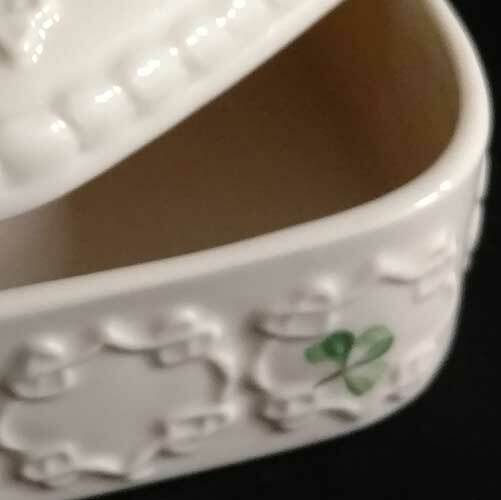 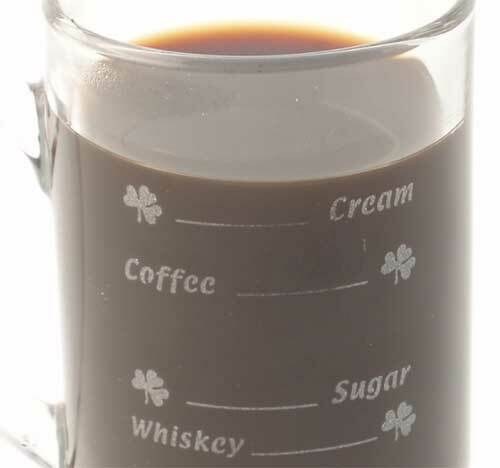 Irish coffee glasses include an etched shamrock on the front along with the recipe ingredient fill lines on the reverse side. 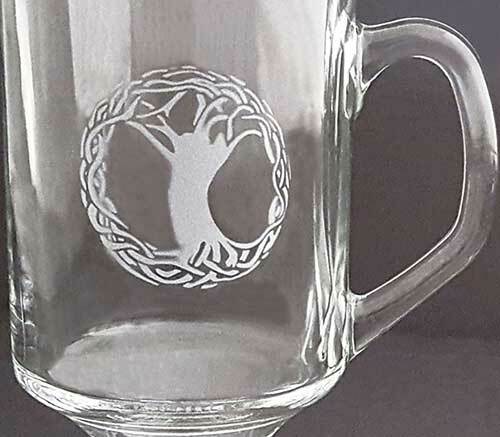 Tree of Life Irish coffee glasses feature an etched motif that is enhanced with Celtic knot-work. 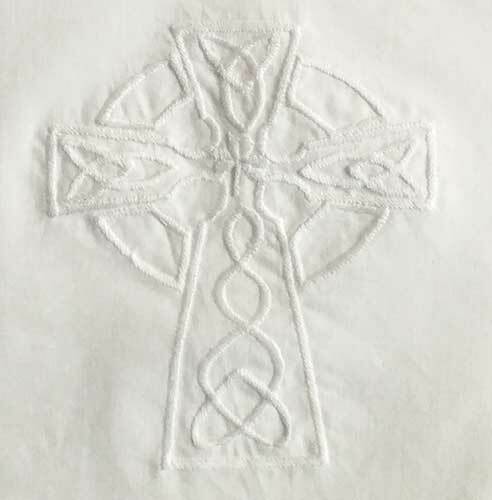 Irish cap is a relaxed design that features an intricately embroidered with a mythical Celtic Beast. 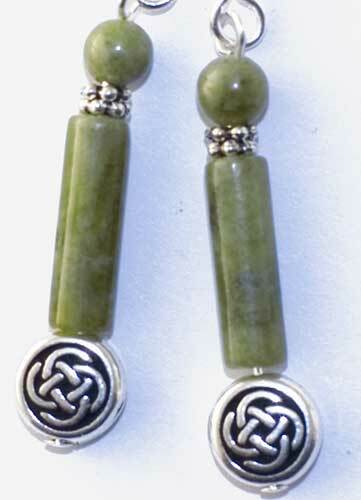 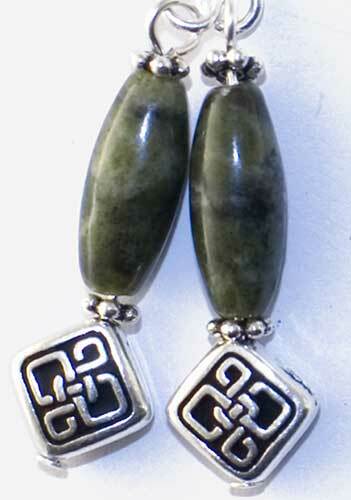 Celtic earrings feature Connemara marble beads along with silver plated over pewter heart charms that are enhanced with embossed spirals. 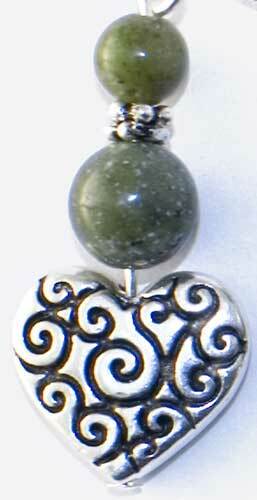 Celtic necklace features Connemara marble beads along with a silver plated over pewter heart that is enhanced with embossed spirals. 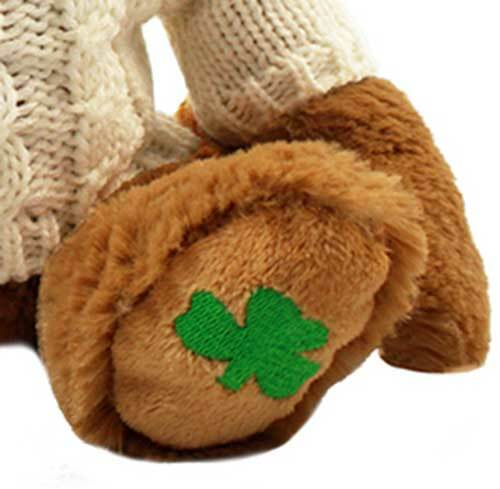 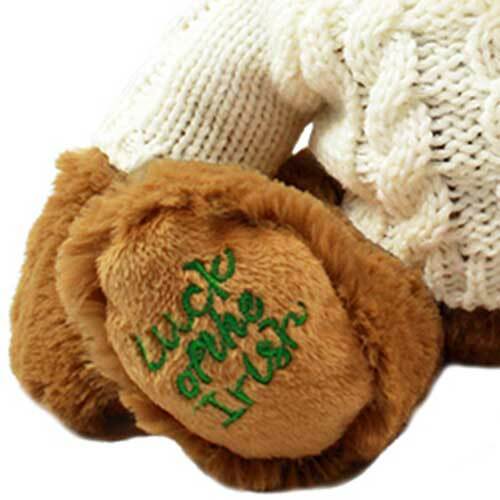 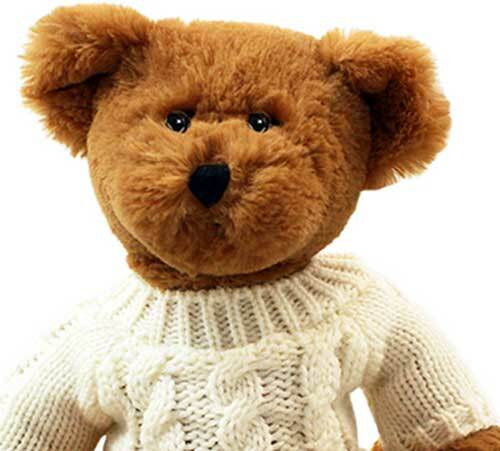 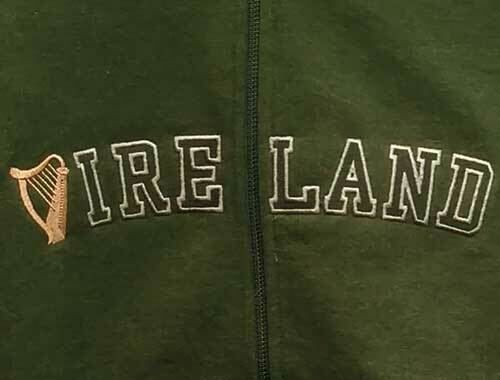 Irish Teddy bear features a soft plush design that is enhanced with an Aran sweater along with an embroidered green shamrock on his left paw. 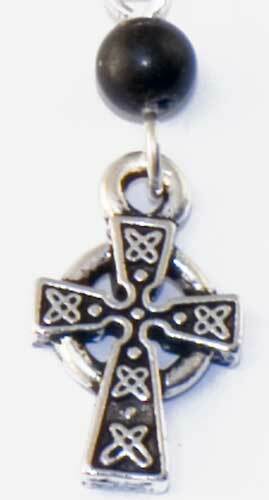 Celtic brooch is a gold plated design that features birds from the Celtic otherworld. 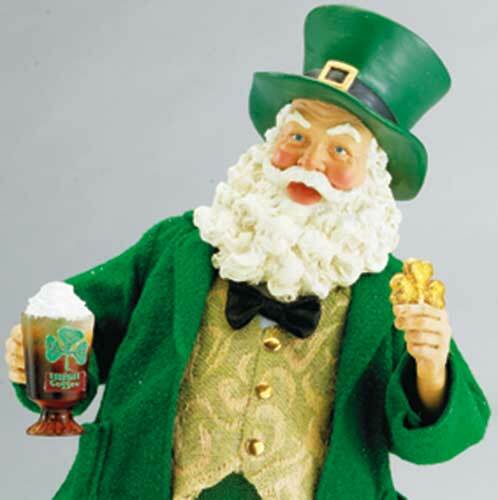 Irish Santa figurine features a shamrock along with a mug of Irish coffee.